revenues, this equates to every single Scot giving away £2300 a year. Only a vote for the SNP will stop the Tories slashing more Scottish budgets etc. 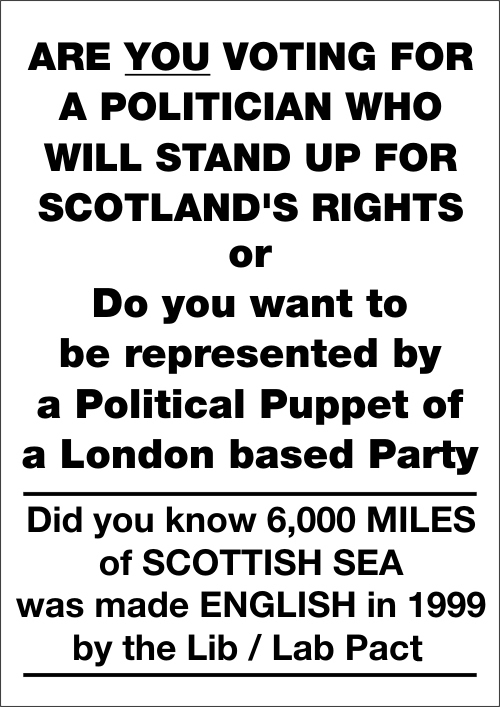 Sign our e-petiton to revoke the 1999 order that made 6,000 sq miles of Scottish sea and sea bed English. Alternatively support our facebook cause. 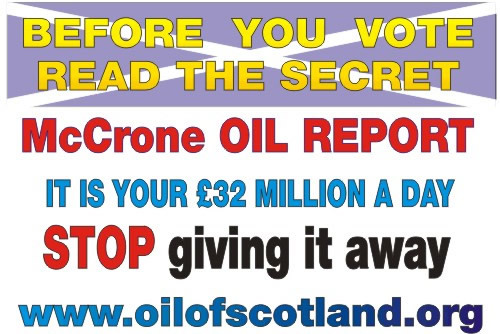 Recently the Top Secret McCrone's Report into the Scottish Economy and the implication of the discovery of North Sea oil and Gas. This report wasn't released under the 30 year rule and it wouldn't have been. It was the result of the inspiration of Davie Hutchison who used the freedom of information legislation to dig deeper and deeper into the archives, using references in some archives to ask for other documents until he found a gold mine. As this document exposed all the lies the London Parties had been spinning about Scotland's Economy for over 30 years. This report which was written in 1974 and made Top Secret. This report was made available to all top level politicians who wanted to preserve the Union. Consequently we have suffered a 30 year long campaign of incorrect information about the oil running out etc to make us doubt the strength of our economy. Download the classified version In the last 30 years Westminster has removed Scotland's coal and steel industries. Out of the 12 oil refineries in the UK only 2 oil refineries are located in Scotland. 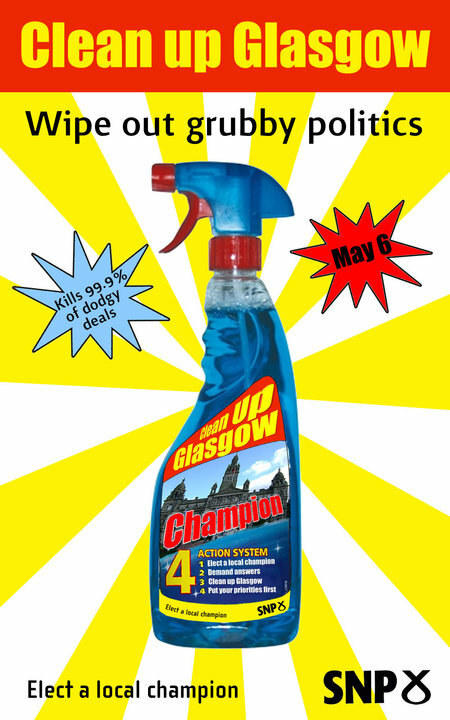 The number of Scottish owned business has been eroded. However in an Independent Scotland all major corporations operating in Scotland would have run a Scottish based head office. Scotland's dreadful housing, unemployment, drugs; drink and health problems have deliberately never been addressed in an attempt to keep our population drugged, drunk, unhealthy and poor. Prior to the Council Tax freeze 30% of Scotland's population was living under the poverty line. Scotland also has the worst health in Europe. Why! So the chances of us voting for independence is unlikely, due to a lot of Scots having more important things to worry about than politics. The solution is not to vote for Scottish Labour Party or other unionist parties. 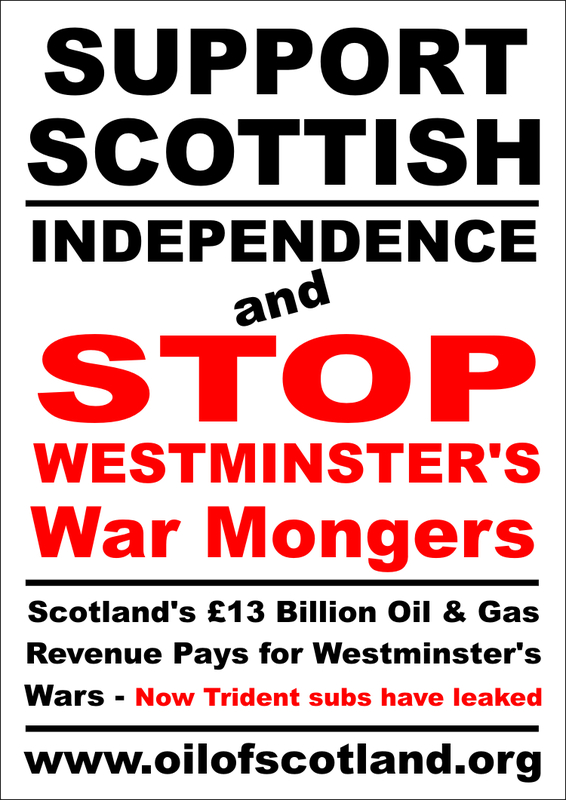 If you have lived in Scotland since oil was discovered in 1974 you have in your name as a member of the Scottish public given London £48,000 + that could have been spent in Scotland. If Scotland remains in the Union you and your children as statistic's will lose a minimum "£234,000" in the next 30 years, from oil and gas revenues alone. The figures behind your lost revenue and the revenue you will lose if we remain in the Union. Lets put the Union into perspective. "It costs the 60 million population of the UK £40 Million a Day to be in European Union". 03 MARCH 2010 THE BBC exclude the voters of Scotland, Wales and Northern Ireland from a fair political broadcast debates on the forthcoming election. The BBC are going to broadcast a party political debate between the Labour Conservative and Liberal parties only. This is bad enough in England excluding the UK Independence Party. But in Scotland this is absolutely NOT ON. Why should the Conservatives who only have ONE Scottish MP be allowed to broadcast their views to the Scottish public when the three big parties in Scotland are the SNP , Liberals and Labour Parties and the Conservatives are the smallest party in Scotland. We at oil of Scotland have felt quite disgusted at blatant bias shown towards Scots on what is supposed to be an impartial public service broadcaster. 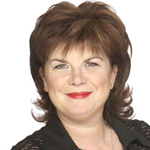 In our view there is a prevailing negative spin placed on stories involving the SNP and it is apparent that the corrupt British Labour Party are the BBC’s party of choice. This breaks the BBC’s royal charter and no one challenges them. A good example of this would be “Scottish” Question time in Glasgow on 28 th October 2010 where basically Nicola Sturgeon was told to be quiet and not talk of issues concerning the people of Scotland. People who work for the TV licensing authorities actually work for a private company called Consignia PLC and have no more rights than a double glazing salesman. You need only tell them you are not interested in their product, bye. They can only have you fined with this offence if they can prove that you watch broadcast TV as it is broadcast. i.e. should they come to your door, they will read you a caution and ask you to sign it. Beware this is not a caution, this is a confession that you watch broadcast TV as it is broadcast without a TV licence. Now you wouldn’t do that, would you, especially if you are not. "To install or use a television receiver to watch or record any television programmes as they’re being shown on television"
If you do not use your TV equipment ( "e.g. TVs, computers, mobile phones, games consoles, digital boxes and DVD/VHS recorders" ) for that purpose then you are not committing a criminal offence. You don’t have to; for example "If you are using the BBC iPlayer to watch programmes on-demand i.e. after they have been shown, you do not need a TV Licence." All this equipment has many, many other uses doesn't it? Even an ordinary TV can be installed and used to listen to the radio. You wouldn't want to use your own equipment to beat yourself up with, would you, so why bother? Bribery, Corruption and Fraud at the BBC - Stop paying your TV Licence fee NOW! Scottish MSP's who belong to the parties who allowed this order must be ashamed of this order or worried of the affect it will have at the Holyrood election. Should enough Scots be made aware of this dreadful decision. As someone in the Scottish Office has recently changed the website to just show the co ordinates of the order. This is what they displayed before. The shocking thing about this secret order is that it was not openly discussed in the Commons, passed by the house of Lords and then passed by a very select Labour and Liberal committee in the Scottish Office. One wonders if, Her Majesty Queen Elizabeth the First of Scotland, knew how undemocratic this order was before she signed it ? This order was passed on the grounds of Scottish and English fishing rights. Why then did Hamish Morrison, the Scottish Fishermen's Federation chief executive, say that although the boundaries became law a month ago, the federation had not been informed about the decision and there had been no effort made by the government to consult with the organisation on the matter. 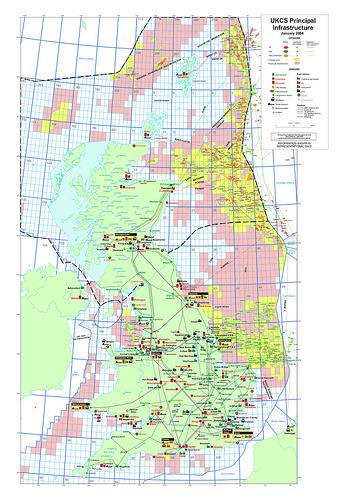 Full transcript of fishing / oil debate 26 April 2000 after the secret order was passed without consultation) or read this pdf file on Scotland reduced fishing zone. 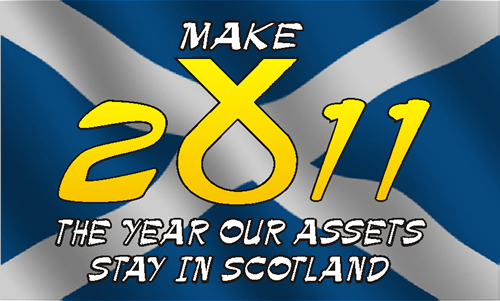 Please support and promote Scottish Independence join the SNP from a £1 a month. 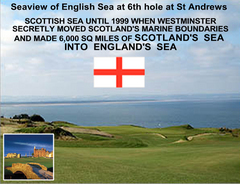 Sign our face book e-petiton to revoke the 1999 order that made 6,000 sq miles of Scottish sea and sea bed English. 12th January 2010 Hugh Fish Fight begins. Half of all fish caught in the north sea are thrown back overboard dead. Join the fish fight to stop 50% of all fish caught in the North Sea being wasted through anti environmental EU fishing laws. Our aim is the reversal of this official order moving Scotland's boundaries from Berwick-upon-Tweed to Carnoustie, Making 6000 square miles of Scottish Sea English. 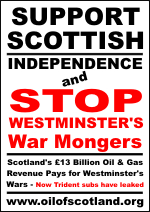 If you have not already done so, can you please add Oil Ofscotland as a facebook friend. Follow ScottishOil on Twitter. 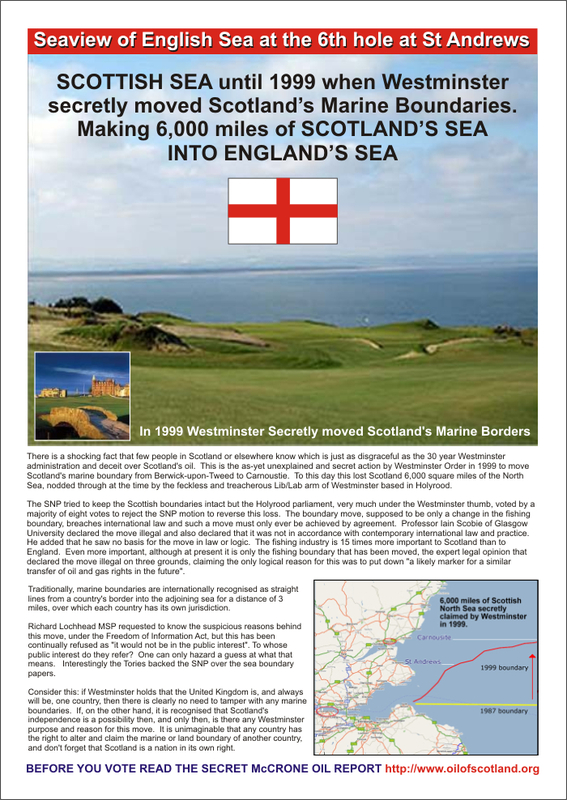 Hopefully in doing so we can generate enough attention to shame the Scottish Labour and Liberal Parties into reversing this 1999 order, that has made 6,000 square miles of Scottish Sea, English. This act demonstrates that Scottish Labour and Liberal politicians will do anything their English masters want. 1. claiming the only logical reason for this was to put down "a likely marker for a similar transfer of oil and gas rights in the future". 2. Traditionally, marine boundaries are internationally recognised as straight lines from a country's border into the adjoining sea for a distance of 3 miles, over which each country has its own jurisdiction. 3. Richard Lochhead MSP requested to know the suspicious reasons behind this move, under the Freedom of Information Act, but this has been continually refused as "it would not be in the public interest". To whose public interest do they refer? One can only hazard a guess at what that means. Interestingly the Tories backed the SNP over the sea boundary papers. Consider this: if Westminster holds that the United Kingdom is, and always will be, one country, then there is clearly no need to tamper with any marine boundaries. If, on the other hand, it is recognised that Scotland's independence is a possibility then, and only then, is there any Westminster purpose and reason for this move. It is unimaginable that any country has the right to alter and claim the marine or land boundary of another country, and don't forget that Scotland is a nation in its own right. 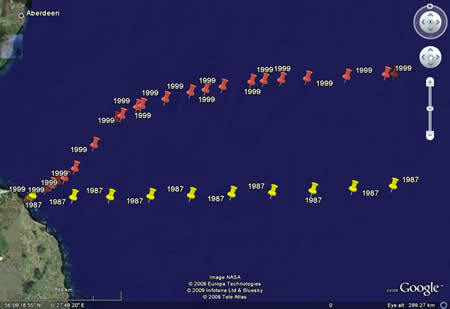 HENRY McLEISH has been revealed as the man who ''quietly moved'' England's North Sea fisheries boundary 60 miles north. The SNP and Liberal Democrats last night joined fishing leaders in calling on First Minister Donald Dewar to explain why McLeish gave away Scotland's legal rights to 6000 square miles of prime fishing waters to the English. Read the rest of this article. 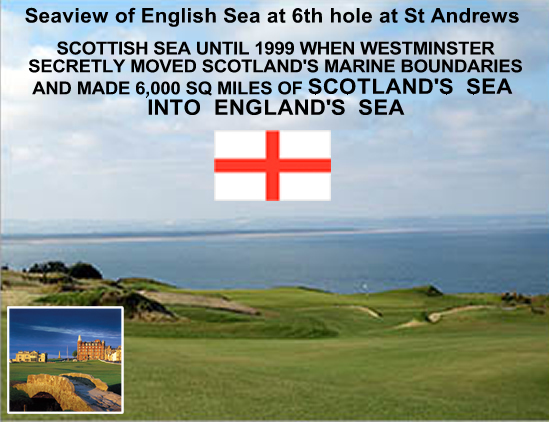 In 1999, Scotland's marine boundary was shifted for some unexplained reason from Berwick to Carnoustie, about 6000 square miles of the North Sea becoming English. We are also the location of choice for the UK's nuclear defence capabilities. On June 11 you report that a fisherman has been fined in England for fishing in Scotland. Scotland will lose about pounds -20m from lottery awards if the London Olympic bid is successful and a special lottery fund is dedicated to that. Scotland alone is supposed to pay for the building of the Holyrood parliament, despite the fact that over the years Scots have contributed their share of the building of Westminster, London government buildings and whatever else Westminster chose to build.... Read the rest of this article. 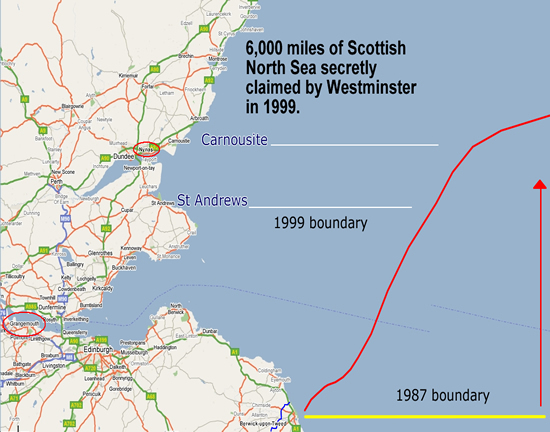 Equally shocking is the as yet unexplained and largely secret and unknown move of Scotland's marine boundary from Berwick to Carnoustie, losing Scotland 6000 square miles of the North Sea, proposed by Westminster in 1999 and nodded through by the treacherous Lib/Lab coalition in Holyrood - refusing a debate. The suspicious reasons behind this move, requested under the Freedom of Information Act, have been denied to the SNP government as "it would not be in the public interest". Read the rest of this article. 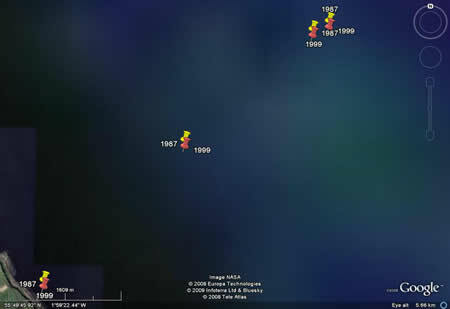 Dr Iain Scobie of Glasgow University argued that the transfer of 6000 square miles of East Coast fisheries to English jurisdiction breached international rules, and claimed the only logical reason for Westminster doing this was to put down a marker for a similar transfer of oil and gas rights in the future. 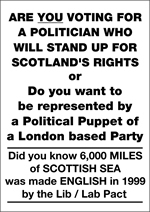 There was a 'debate' in the Scottish Parliament on June 3 rd 1999, when John Home Robertson was at times almost the only Labour MSP in the chamber. At five to five the parliament suddenly filled up with Labour and Lib Dem MSPs, and the calls to redraw the boundaries were defeated by 63 votes to 55. Read the rest of the article. If you play golf - blog or request this is statement is put on your Golf Club's website. However before the election took place SDP, MP George Cunningham had proposed that 40 % of the electorate must vote Yes, thus effectively counting abstainers, the dead, foreign students who had left the country as No voters. 32.9% of the electorate had voted Yes, only 7.1% short of the 40%. pdf report on waste decontaminated in Scotland In an attempt to decommission Dounray the SNP recently decontaminated another consignment of waste as Westminsters were pressurising them to do so. Scottish health service are being ripped off by almost a billion pounds as a result of last month’s Budget. Releasing new figures, ... in the Budget means the Treasury will take an extra £1.1 billion from individual tax-payers and businesses in Scotland next year. Read the rest of this article. Gordon Brown stands to pocket a record £1.1 billion in taxation from domestic energy bills. Read the rest of this article. Energy regulators must cut charges imposed on Scots power firms for putting electricity into the national grid, including green energy suppliers. Read the rest of this article. 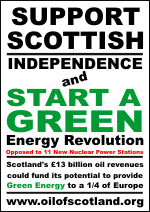 Scotland has the potential to create green energy from the 600 suitable streams that it has. A generator in a single high fall stream could generate 900 kw at day which is enough to provide electricity for 500 homes. If all the streams in Scotland were converted that would be enough power for 300,000 homes a day, which is about 54% of Scotland's electric requirements. 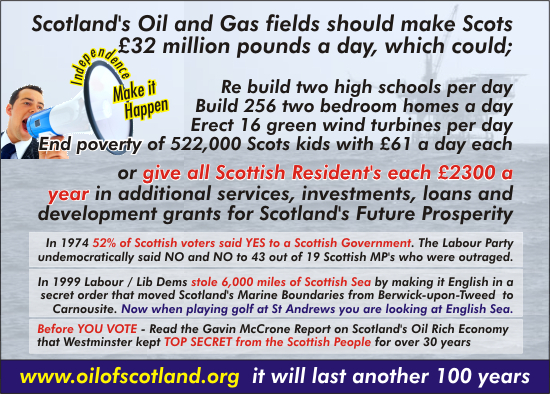 The small cost of these projects could be bourne by the either the Scottish Government or the farmers who own the land. With green energy grants now at 10p a Kw that would equate to £90 a day, £32,850 a year for a project generating 900 Kw of electricity. 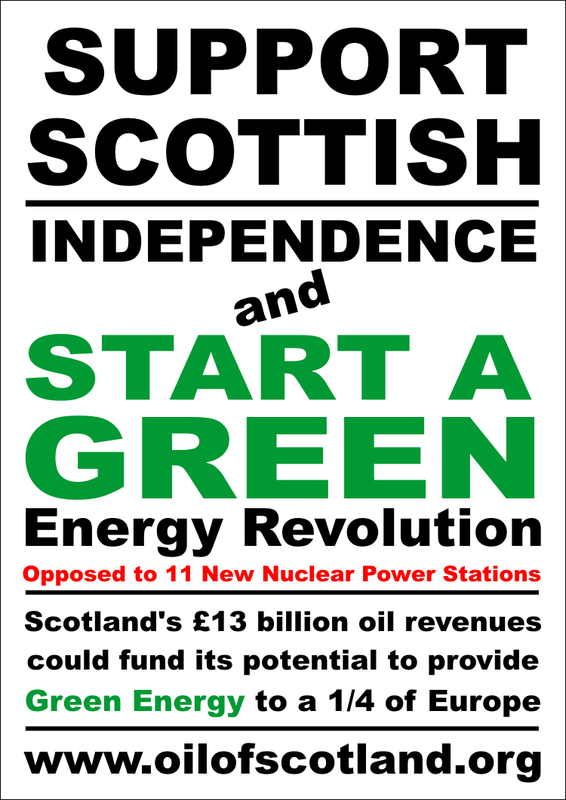 Which could be healthy boost to Scotland's farming communities and Scotland's hydro turbine and construction industries. Based on a setup cost of £106,000 stream hydro project, two days of Scottish oil and gas revenues at £32 Million a day could pay for all 600 projects. Government investment in London, including £26 billion in projects ranging from the Olympics to Crossrail. The paper also ... something of a brass neck considering this year £12 billion of Scottish oil revenues are enabling the Prime Minister's government Read the rest of this article. The unions have donated over £60m to the Labour party in the last 6yrs and in return workers have been treated with disdain by the UK Government. If you want your union to spend it's money on fighting for members instead of bankrolling Labour. Read the rest of this article. It is not a matter of whether a Westminster political party leans to the left or to the right; it is a matter of; to which country, the government of this political party belongs. If a government belongs to any other country, other than it's own, then that government will always rule that other country's for it's own political and financial advantage. This will always mean to our disadvantage i.e. Oppression. Surely, the obvious answer to this situation is for the people of Scotland to vote for the government of Scotland, not another country, to rule Scotland. Northern Rock Building Society has cost every person in Britain £396.12 each so far. "The Shadow Chancellor George Osborne warned it could be as high as £50 billion. On top of the £24billion Bank of England loan, he said £15.7 billion had been pledged to safeguard savers’ deposits and a further £10.6 billion is at risk through repaying loans to big institutions." the rest of this story Calculation: £24,000,000,000 divided by the uk population of 60,587,000 = £396.12 each. In addition to this all people over 18 years old are now exposed to a potential £2000.00 each if it funding goes to the £50 Billion level. Just because the powers that be in London and in the Bank of England did not act in time! At the moment if you reside in Scotland you do get slightly more but that is due to a lot of factors. However do not be fooled in an Independent Scotland there would be significantly more money per head available. CH4's Scottish Eye Murder Mystery. Willie MacRae (May 18, 1923 - April 7, 1985) was a Scottish nationalist politician and lawyer, best remembered for the mystery surrounding his death. 1 November 2010 Call for new probe of SNP activist Willie McRae's death. Scotland's senior law officer has been asked to re-investigate the death of an SNP activist 25 years ago. Solicitor and anti-nuclear campaigner Willie McRae was found badly injured in his crashed car on the A87 near Kintail in Wester Ross in April 1985. Later, in hospital where he died, medical staff found a gunshot wound behind his right ear. Read this BBC report. Scottish reunification with Berwick Berwick-Upon-Tweed was illegally annexed by England several centuries ago but has always been Scottish by right. This campaign intends to raise awareness and support for the cause of Scottish reunification. Support this cause as it aims to support the move to restore Berwick-Upon-Tweed's rightful place as part of Scotland. In 1746 a bill was passed within the UK parliament that claimed both Berwick and Wales as part of England. 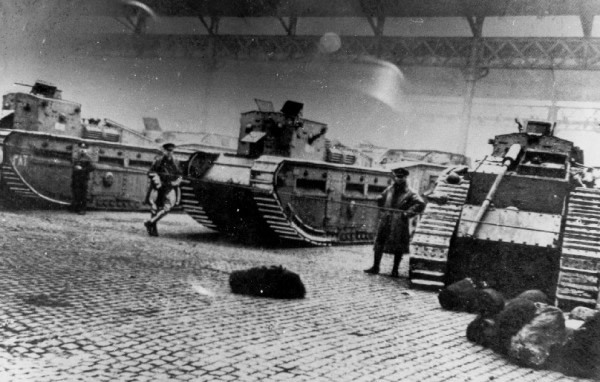 The timing suggests that the British state was trying to clear up some loose ends after the Jacobite rebellion. Wales is obviously not part of England and neither is Berwick. 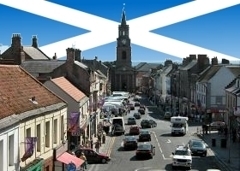 If you buy a house in Berwick it is actually legally registered in Scotland, not England! Berwick recently voted that it wished to be a full part of Scotland again, that wish should be respected. Are you as a "statistic" prepared to lose £234,000 in the next 30 years? Yes at the lowest oil price per barrel would mean the 38.7 billion barrels of oil still to come out the North Sea that will generate a minimum of a trillion pounds. If so every man woman and child living in Scotland will forfeit £234,000 in 30 years which is £7800 a year. Calculation £1000,000,000,000,000 divided by Scotland's current population of 5,117,000 = £234,000 per each or average annual loss over 30 years = £7800 each. Oil industry analysts predict that North Sea Oil Production will continue for 100 years at least. Dr Richard Pike, a former oil industry consultant and now the chief executive of the Royal Society of Chemistry, said: "Rather than only getting 20 to 30 billion barrels [from the North Sea] we are probably looking at more than twice that amount." "The North Sea is not running out at all, industry, analysts say.The full extent of reserves in the sea has never been known"
Yes the £250 billion pounds of Scottish oil revenue that has passed the Scottish people by, equates to each resident in Scotland forfeiting £1,628 per annum for the last 30 years. Which is £48,000 for every man, woman and child. If you think that is bad, if we stay in the Union we will forfeit a minimum of a further £1.2 trillion. This is about £234,000 for every man, woman and child that resides in Scotland. building of 256 Two Bedroom House a Day - to help solve Scotland's chronic housing problems. 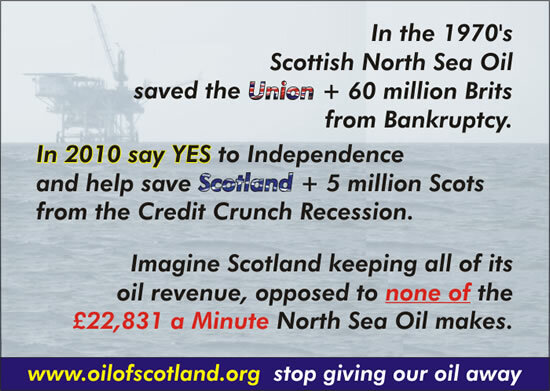 As North Sea Oil & Gas will last another 100 years. Any Scottish Government would have 365 days x 100 years of £32 Million Pounds a Day Oil and Gas Revenue to spend on improving Scotland. As Football is at the core of Scottish society, maybe they could invest one day of this VAST REVENUE on giving all of the 12 Premier Division football clubs £2.66 Million each. Here is the official figures from hmrc.gov.uk that show North Sea Oil and Gas based on $60 a barrell brought in £12.9 Billion pounds in 2008. The purpose of this web site is not essentially political. The main purpose is to publish the truth. The people of Scotland have to realise the true potential of our wealthy nation. Then decide if Scotland should govern itself and become politically Independent from "out of touch" Westminster. After a referendum declaring Scotland's Independence, you could vote to elect a left or right wing Scottish government. This is a site produced by the Scottish People for the Scottish People to inform their fellow resident of the injustices inflicted on Scotland by Westminster. Commit to distributing these leaflets in your Workplace, College, University or School and get them FREE ! 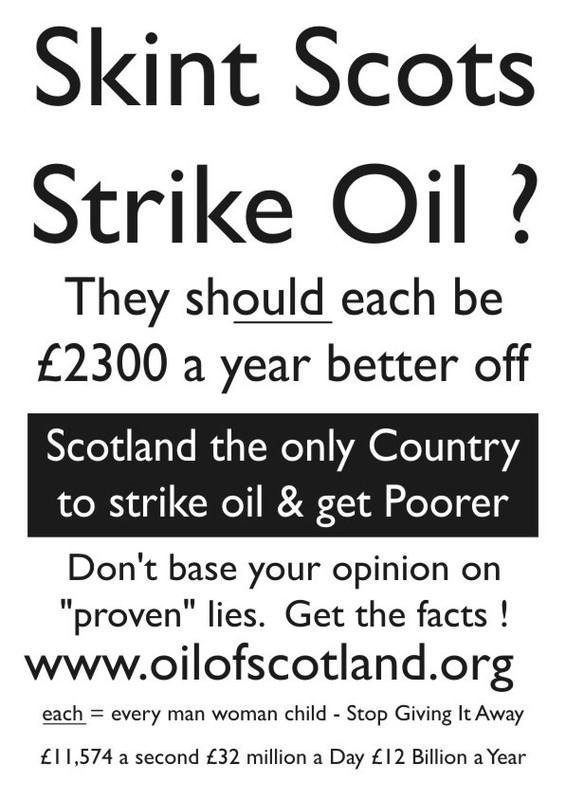 click leaflet for bigger image - send us an email committing to distributing these leaflets in Colleges and Universities. and we will consider supplying you these leaflets free of charge. 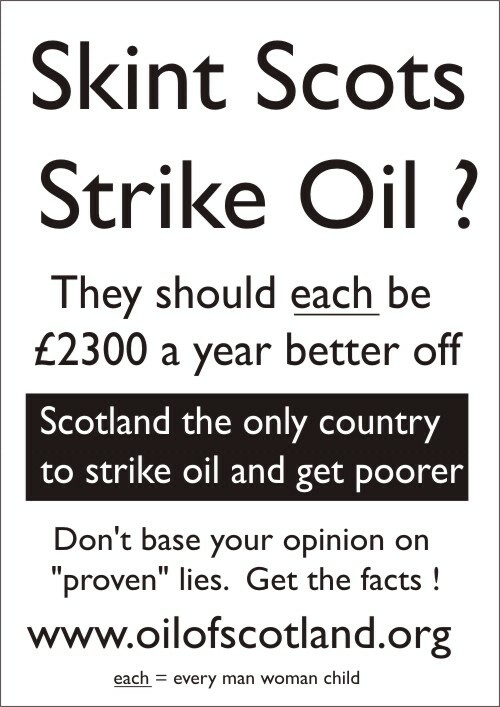 After they take all our oil - will we be kicked out the Union ?